or waiting for us to accept it’s time for the world to meet us! Meet Elise, this is her AJBC story. The first time I met Elise she was a cute Senior about to graduate, what some may call shy, but ever so sweet. 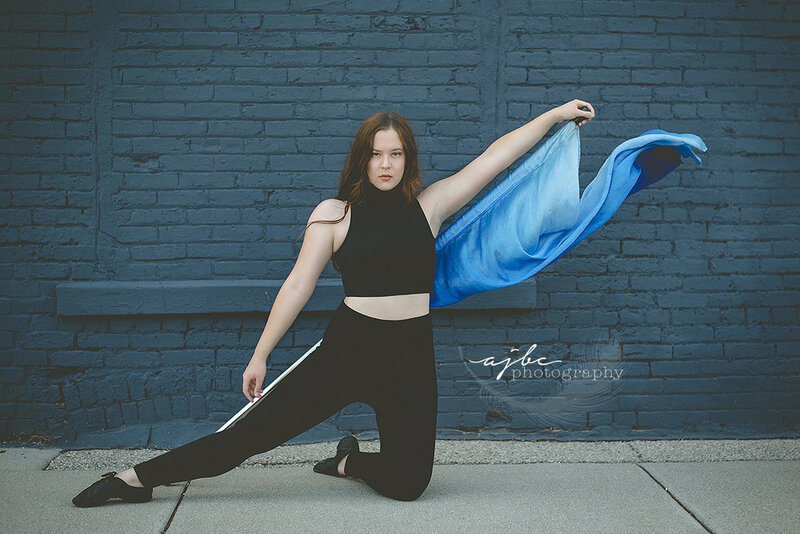 We planned her shoot around her many talents- dance, color guard, photography, and singing. Not many people could have a shoot that encompassed so many beautiful and expressive talents, but Elise is honestly probably hiding more. The day came and we started out with more outfits than you can imagine! They FILLED the studio. 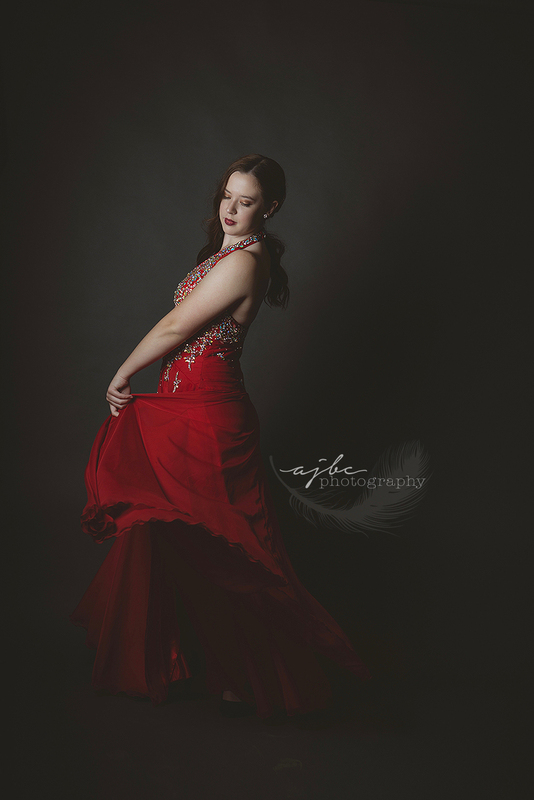 Dance costumes from recitals, gowns, fashionable pieces, jewelry passed down from family, yards and yards of fabric and fun props. You could tell we weren’t just about to photograph a Senior, she was about to put on a live show for us, and that she did. 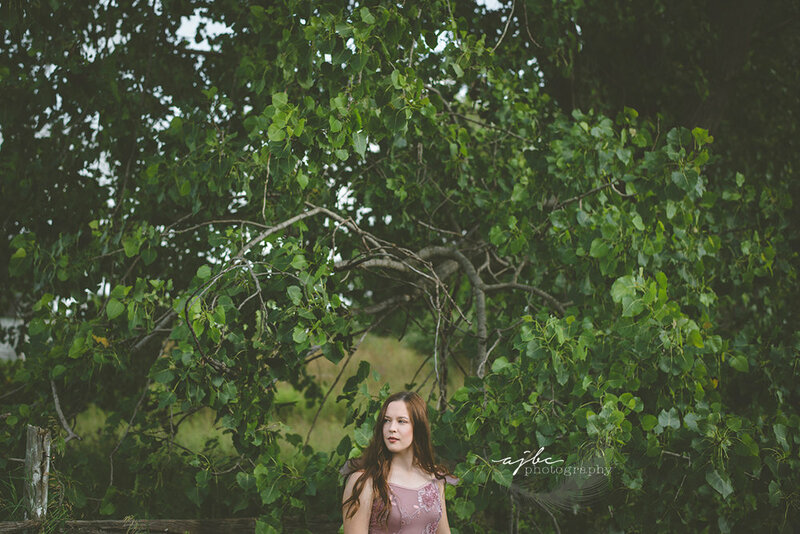 Our first look was pointe, and to be honest, we photographed this look on a back dirt road, partially in a ditch. We let the dust settle and then… Elise began to flow. Her body was calm yet precise and it was beautiful to watch. Next we headed downtown where she took what many would look at as a basic flag and turned it into visual art. But this is where we saw this inner fierceness come alive! Pure magic! After that we played it a bit more low key, cute city girl look in a coffee shop. We did some fun hair whips, got some drinks, and captured her sweet side, for sure. 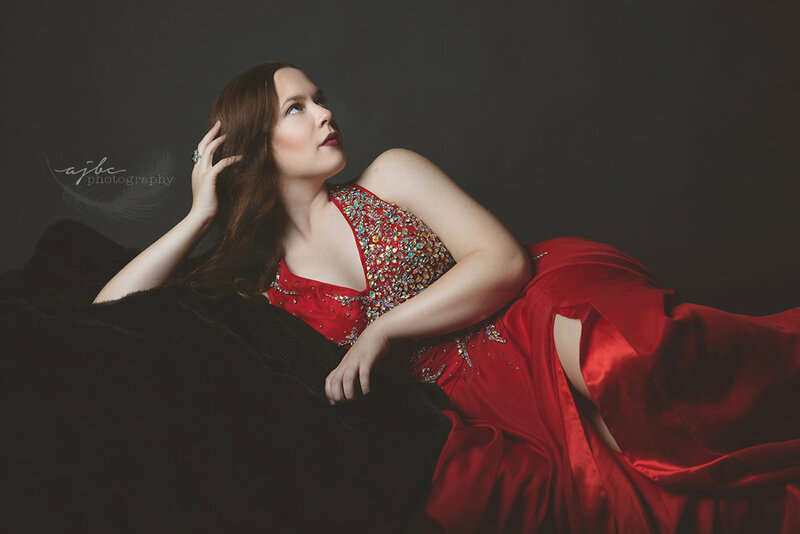 Lastly we headed back to the studio where Elise boldly rocked this red sequined gown, while looking ever so timeless. I’ve never seen someone morph so effortlessly, so flawlessy. Elise, all these characters you rock, that fire you hold deep in you, let them rage, lady! 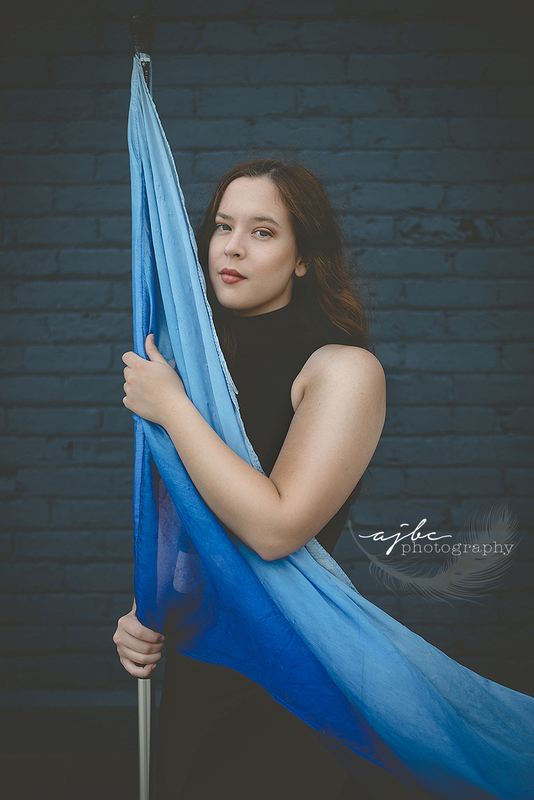 For more color guard check out Janelle's sunrise senior shoot! 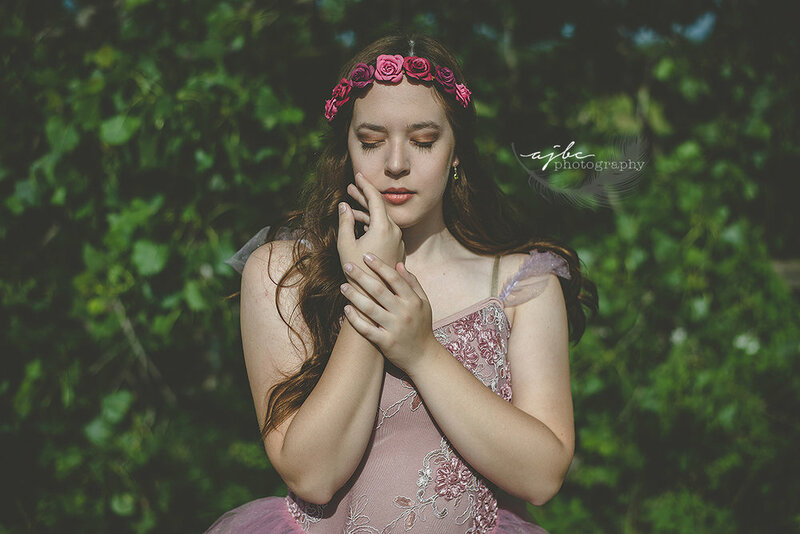 For more whimsical dancing in the woods check out Kayla's Session!